Lunch has never been just a meal; the meal most often eaten in public, lunch has a long tradition of establishing social status and cementing alliances. From the ploughman's lunch in the field to the power lunch at the Four Seasons, the particulars of lunch decisions-where, with whom, and what we eat-often mark our place in the world. 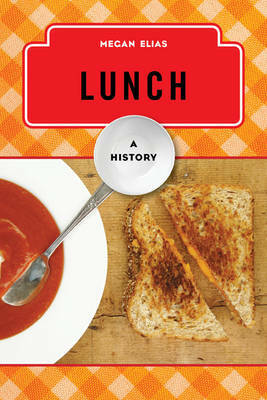 Lunch itself has galvanized political movements and been at the center of efforts to address poverty and malnutrition; the American School Lunch Act of 1946 enforced the notion that lunch could represent the very health of the nation, and sit-ins and protests at lunch counters in the 1960s thrust this space into moral territory. Issues of who cooks lunch, who eats what, and how and when we eat in public institutions continue to spur activists. Exploring the rich history and culture of this most-observed and versatile meal, Lunch draws on a wide range of sources: *Letters and memoirs *Fiction *Cookbooks *Institutional records *Art and popular media *Tea room menus *Lunch truck Twitter feeds, and more Elias considers the history of lunch not only in America, but around the world to reveal the rich traditions and considerable changes this meal has influenced over the years.